The latest locomotive nameplate on display in the Chasewater Railway Museum, and on loan from the Industrial Railway Society is from a Kitson-built 0-6-0ST, Holwell No.1, works number 1836, actually built in 1872 although the worksplate it carried read 1879. 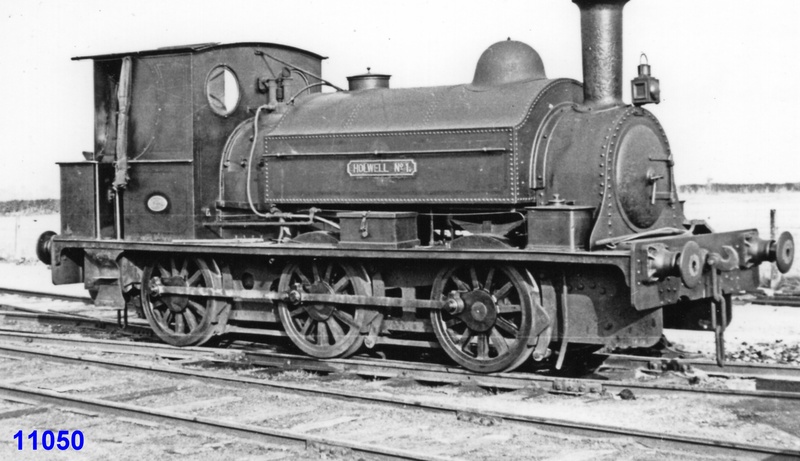 New to Holwell Ironworks, Leicestershire, originally the name was painted on the loco’s hump-backed saddle tank, but a rebuild at the works eventually gave her cast brass nameplates. Transfer to the parent company’s ironstone quarry at Buckminster, Lincolnshire came in 1898 where she worked for many years, finally meeting her demise in 1952. This entry was posted in Museum Exhibits and tagged Holwell No.1, Industrial Railway Society, IRS, Kitson, Locomotive Nameplate, Steam Locomotives. Bookmark the permalink.